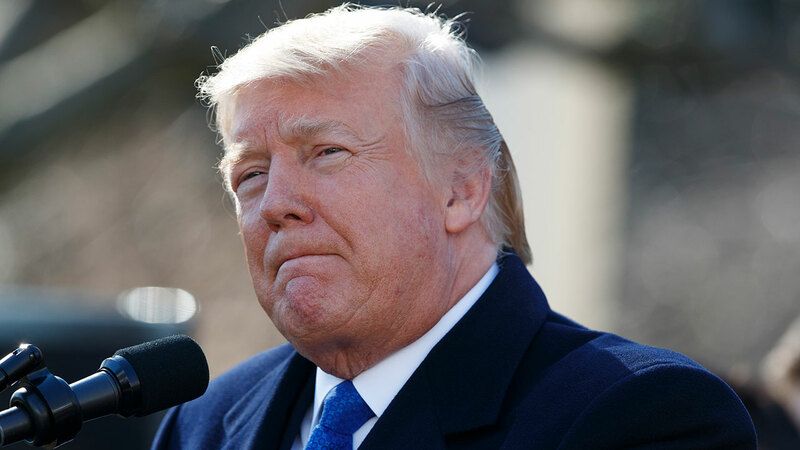 WASHINGTON -- President Donald Trump said Wednesday he's open to an immigration plan that will provide a pathway to citizenship for hundreds of thousands of young people who were brought to the country as children and are now here illegally. "We're going to morph into it," Trump told reporters. "It's going to happen, at some point in the future, over a period of 10 to 12 years." But immediately after Trump spoke, a senior White House official cast doubt on Trump's assurances, saying a pathway to citizenship for so-called Dreamers was "maybe" an option. "That's a discussion point," said the official, who spoke on condition of anonymity because there was no authorization to discuss the issue publicly. The official added that Dreamers could immediately be given "legal status, as long as they behave themselves." Trump's pronouncements - and the senior official's addendum - came as the White House announced it would be unveiling a legislative framework on immigration next week that it hopes can pass both the House and the Senate. The president's remarks amounted to a preview of that framework. He said he'll propose $25 billion for building a wall on the U.S.-Mexico border and $5 billion for other security measures. Trump told reporters he had a message for the Dreamers: "Tell 'em not to be concerned, OK? Tell 'em not to worry. We're going to solve the problem." But Trump has said repeatedly that any deal to protect those immigrants from deportation is contingent on money for the border wall and other security measures. Trump was talking about the young immigrants who had been protected from deportation and given the right to work legally in the country under the Obama-era Deferred Action for Childhood Arrivals program, or DACA. Trump announced he was ending DACA last year, but he has given Congress until March to come up with a legislative fix. Trump said he was confident that a deal can be reached on the issue. White House press secretary Sarah Huckabee Sanders said the framework to be unveiled Monday "represents a compromise that members of both parties can support." "After decades of inaction by Congress, it's time we work together to solve this issue once and for all," Sanders said. The senior official added that the White House planned to notify Congress on Wednesday night "exactly what the president's position is. Cause that's what they've been asking for. Cause they haven't been able to come up with their own workable positions." Senators from both parties were making a fresh search for their own compromise immigration legislation, but leaders conceded that the effort wouldn't be easy and were already casting blame should it falter. When asked if he knew what would be in the White House proposal, Sen. Jeff Flake, R-Ariz., said he didn't know and added, "But they're not writing the bill." Senate Minority Leader Chuck Schumer, D-N.Y., vowed not to "let those who are anti-immigrant, who call giving the Dreamers hope 'amnesty,' block us. Because then we will fail, and it will be on the other side of the aisle that made that happen." Schumer spoke about 12 hours after Trump put the onus on him. "Cryin' Chuck Schumer fully understands, especially after his humiliating defeat, that if there is no Wall, there is no DACA," the president tweeted late Tuesday. "We must have safety and security, together with a strong Military, for our great people!"